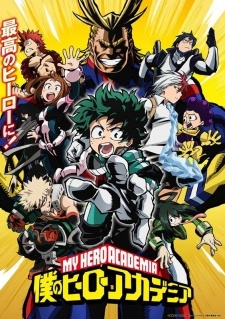 Plot Summary: Midoriya Izuku was just a regular middle school student in a world where people with superpowers known as Quirks are the norm. However, he dreams of one day becoming a Hero, despite being bullied by his classmates for not having a Quirk. After being the only one to try and save his childhood friend, Katsuki, from a Villain, All Might, the world's greatest Hero, bestows upon him his own quirk, One For All. The story follows Izuku's entrance into Yuuei High School, a school that cultivates the next generation of Heroes.